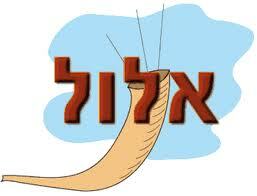 The month of Elul is nearly upon us beginning at sunset on August, 26, 2014. 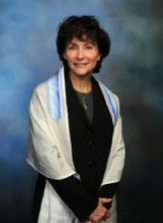 It marks a period of time for Jews the world over to engage in deep, personal introspection. Yet, it is just at this time this year when so much is swirling around us; it often feels the world is spinning out of control with critical issues. It can be very unsettling, worrisome and even disruptive. · Who do I want to become? · Am I on a constructive path to getting there? · Am I utilizing my unique gifts in significant ways? · Am I maximizing my potential? · Am I helping others? · Could I be kinder? · Have I thought about my relationships? · What can I do to improve them? · Do I let those I love know I love them and appreciate them? · Am I grateful for the life I have? · Do I remember to thank people? There is much we can contribute to help make the world a better place and much of that begins with working on ourselves. As we approach the end of 5774, may we take a time out, a period within which we allow ourselves to breathe deeply, to catch a breath, enabling us to more fully connect to what is deep within us, to one another and to discovering anew what is sacred and Divine in our lives. May your New Year be filled with much promise, joy and meaning.